Are You Protecting Temporary Workers within Your Business? For many companies, this time of year brings a lot of extra work that needs to get done. One of the best ways to ensure it is completed on time is to hire on temporary workers. Whether it is just for the holidays, or during another time of year, you need to make sure your facility’s safety doesn’t suffer with all the new workers joining the team. Since these are temporary workers, you don’t want to spend weeks of time on training, so coming up with a good training schedule can help to keep everyone safe, while still keeping temporary workers productive. The following five tips will help you to plan and implement the proper safety processes. When it comes to workplace safety and training, both the host company (you) and the temporary employment agency have responsibility for the safety of the temporary workers. This means that training, reporting and communicating hazards need to be handled by the agency, the facility, or both. While the laws are set up this way to try to help prevent temporary workers from being neglected, it often results in miscommunications and oversights. With this in mind, it is essential that you always communicate with the staffing agency to ensure all the safety training is done. Typically, laying out who is responsible for what training should be agreed upon ahead of time so that there is no confusion. With proper communication, you can make sure all the responsibilities are covered and all of the seasonal help gets the training that they need. One of the biggest issues many temporary workers have is that they don’t really know who to go to when they have questions or problems. They may get training from one person, report their time cards to another, and work under a third manager. Throw into that the fact that they technically work for the employment agency and it is easy to see how it can be confusing. For some people, this ends up discouraging them from asking questions, which can lead to significant hazards. One of the first things you should do when bringing in a new temporary employee is identify one person to whom they can go to with safety questions or inquiries on how to get things done properly. This will help ensure they are confident in what they need to do, and where they need to go for help. While this will only take a brief moment, it can help to avoid a lot of the hazards associated with seasonal workers. Safety Signs & Labels – Most facilities have some type of custom signs or labels that were either special ordered or printed on their industrial label maker. While long time employees know exactly what they mean, that may not be the case for temporary workers. Floor Markings – If your facility uses floor marking tape, you likely have a standard regarding the colors or patterns on the tape. Seasonal workers won’t be aware of what this means and may assume that all the different markings are the same. PPE Signs – Using signs to identify where different types of personal protection equipment need to be worn is very common. Without proper training, however, the temp workers may not know what they mean. Your facility likely has some types of non-verbal communication that is used, and it is your responsibility to ensure all new workers are brought up to speed on their meanings before they start their jobs. When you bring in a large group of temporary workers, you need to make sure they know what they will be doing in the event of an emergency. Running fire drills, shelter in place drills, and any other emergency response drills can be very helpful. Of course, you’ll want to let everyone know how they should respond ahead of time to ensure they react properly. Related to this, you need to have a list of the temporary workers working in the facility at any given time so you can get an accurate head count and confirm everyone made it to safety in the event of an emergency. Come up with a list of facility specific emergencies that they need to be trained on too. If your facility works with toxic chemicals, for example, provide training on what to do if there is a spill or leak. Any major emergency that could happen while they are working at your facility should be covered to help ensure everyone is as safe as possible while working in the facility. If this is the first time you’ve brought temporary workers into your facility, or you feel like you haven’t done it properly in the past, don’t be afraid to ask for some help regarding employee safety. Many employment agencies will be able to provide tips and advice in this area, and will be happy to do anything they can to keep their employees protected. In addition, OSHA offers an on-site consultation program where they can give free advice to employers in this area. This advance can be confidential as well so you don’t have to worry about others finding out about it. 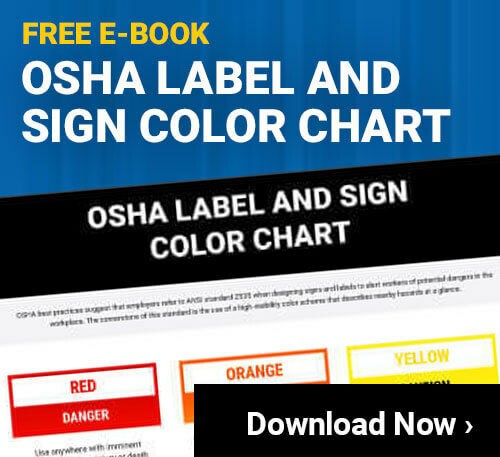 You can learn more about this free OSHA program on their website. For many facilities, getting this help can be a great way to speed along the process of providing the right safety training and information. The faster this can be done, the less wasted time you will have. The main thing to remember whenever you are thinking about how to protect temporary workers, and the facility as a whole, is that putting safety first will always be the best choice. Unsafe workers, whether temporary or permanent, will not only get hurt themselves, but they can harm others, damage machinery and cause extended work stoppages. Investing a little time in safety training up front will greatly reduce the risks for the entire time these workers are in your facility. So, whether this is a onetime thing or a seasonal event, make sure you do all you can to protect the temporary workers in your facility.